Finding a healthy weight-loss solution for an overweight dog can be challenging, especially with so many products on the market. You want your dog to get the best possible nutrition so that he or she can be active and enjoy life while maintaining a healthy weight. Combining a few different weight-loss products with an increase in exercise is probably the best approach to giving your dog strength, energy, and a happy life. 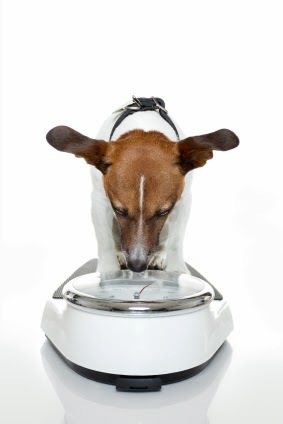 Providing your dog with an appetizing, nutritious food that will support weight-loss is crucial. Purina Veterinary Diets OM Overweight Management Canine Formula makes an excellent dog food for weight loss and weight management. This formula is designed with a balance of nutrients, low fat, high protein:calorie ratio and isoflavones to allow your dog to lose weight while maintaining excellent overall health. It is available both as dry or wet food. A helpful product for dog weight-loss is a supplement called Vetri-Lean Chewable tablets for Dogs. This supplement, made by Vetri-Science Laboratories, is designed to prevent starch absorption. It is a safe, healthy, chewable tablet that reduces your dog's absorption of calories from carbohydrates so he or she can lose the extra weight. The supplement even has a tasty, dog-friendly chicken flavor. Another great product is Butler NutriSentials Lean Treats for Dog that allows your to reward your dog for their good behavior without having to worry about straying away from your dog’ diet plan. Check out our detailed review on this product here. The BUSTER DogMaze is a innovative food dish that challenges your dog to eat more slowly. Dogs that eat slowly have a healthier digestive process, allowing them to absorb nutrients properly and get the most out of their food without overeating. Combining functionality and design, this food dish is a unique maze that makes mealtimes fun and healthy for your dog. Finally, helping your dog to get more exercise is the best beneficial weight-loss tool. All dogs need exercise, some breeds need more than others. This is more important if your dog is overweight. You dogs can have happier and healthier with regular walks. Other great physical activities to try with your dog include hiking, swimming, playing fetch with a ball or other fun dog toy, or even just running around in the yard or park. If you get excited about doing something physical, your dog will too. Helping your dog lose weight can be a fun way to bond, and you'll feel good knowing that you're giving your dog a happy, healthy life. Visit our website Medi-Vet to check more excellent products for getting your dog healthy and fit. 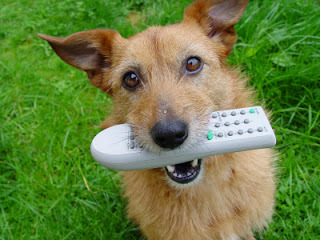 You have a dog that knows all of its obedience commands. Your dog can sit, lay down or come to your when you say so. You are happy with these basic commands but would like to teach them more advanced tricks. But you fear that it is going to take a lot of time and might be complicated that you would like. Lucky for you, you can easily teach your four-legged friend these 6 tricks. This is a super easy trick to teach your dog and is very helpful when your dog gets hyper. We recommend having a standard location for the bed before you get started. You know that there are days when you’re feeling too lazy to open the refrigerator? When you teach your dog how to do it, you’ll never have to set hands on the fridge door again! To learn this trick, your dog will already need to know how to tug on a rope; a trick that comes naturally for most dogs. Tie a bandana or a rope to the refrigerator handle. Walk your dog to the fridge and tell it to tug the bandana. Praise and treat your dog as soon as it puts the bandana in its mouth. Encourage your dog to tug the cloth until the door opens. As soon as the door begins to open, tell your dog “fridge” and offer a treat. Some dogs naturally grin with their teeth and others don’t. Whether your dog happily displays its teeth or not, you can easily teach it to smile on command. If your dog smiles naturally, put a word to the action and offer a treat. If your dog needs a bit of help, tickle its nose or do something else that makes it lift its lip. As soon as you see teeth, praise your dog, use your command word, and give your dog a treat. Not every dog owner is adept at reading their dog’s signals. If you are tired of trying to figure out if your dog has to go outside to the bathroom, it’s time to teach it how to ring a bell to alert you. Hang a row of jingle bells on the doorknob on the door you use to take your dog outside. Make sure that the bell is at eye level. Each time you take your dog outside, hit the bell gently. Begin teaching your dog to hit the bell with its nose or paw. 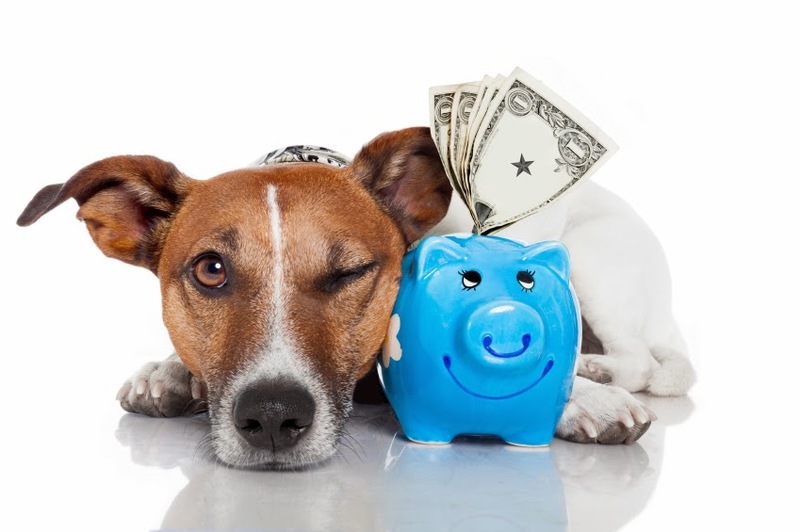 Give your dog a treat when it touches the bell. Pretty soon you will have a dog that alerts you to its need to go outside. Teaching your dog to crawl is fairly simple. Place your dog in a down stay. As your dog reaches for the treat, praise it and give it the treat. Slowly increase the distance that your dog has to move to get the treat. If your dog’s behind comes off of the ground, start again at step one. Your dog can help you with the laundry, can get you its leash, and can help you carry lightweight items through the house. Encourage your dog to pick up an item while you give a “take it” command. Let your dog follow you to another room with the item in its mouth while you give a “bring it” command. Put your hand out for the item while you give a “drop it” command. The more you practice this, the better your dog will become at helping you do the daily household chores. Some of other popular tricks that you can teach your dog are high-five, shake, wave and kiss. It doesn’t matter if your dog is young or old. All you need is patience, yummy dog treats and of course, a dog. Teaching them tricks not only keeps their mind active but also allows you to show off with your smart pet to your family and friends.